The Ton has 18 new stamps, 13 dies and 14 Couture Mixes for their new Spring 2017 Release which includes up to three free gifts with purchases. 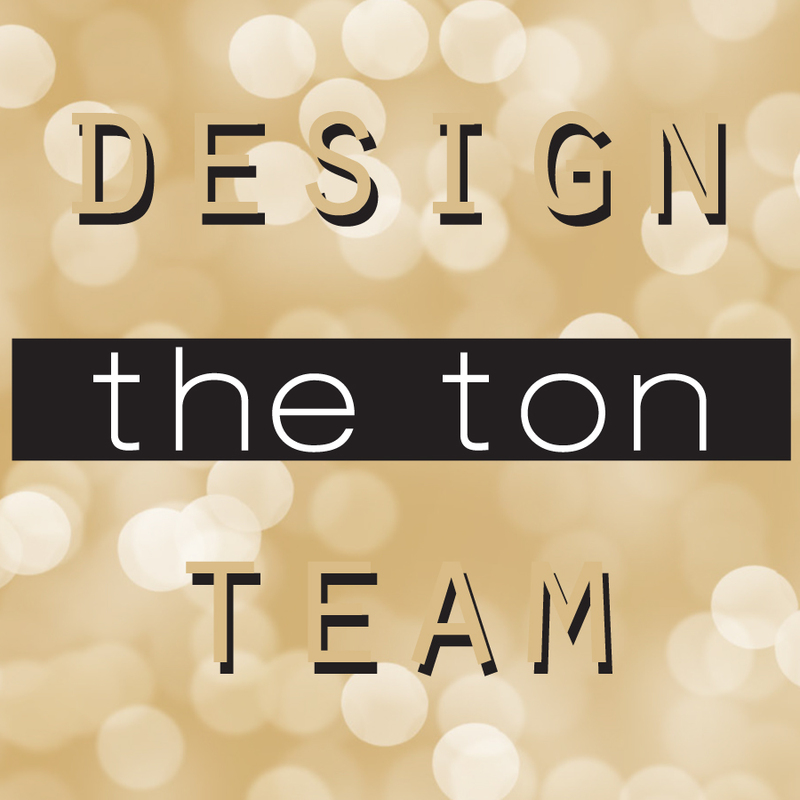 For more information on The Ton’s incentive gifts, head over to The Ton’s blog. New release products are available now! Hello and welcome to The Ton’s Spring 2017 Release Blog Hop! It’s Jenny here and you are at the right place if you just arrived from fabulous Isha Gupta’s blog! For this blog hop, I created 2 very different cards. I’m not sure if you have noticed, but I tried to create cards in all variety of style and coloring mediums for this release. Today’s post is not an exception. I created one card with a rustic look with no-line coloring. The other card is a shaker, packed with glam, shine, and sparkle! I can’t wait to share them with you, so let’s get started! I started the card by stamping one of the Perfume bottle image from the Marvelous Perfumes stamp set on a smooth white cardstock in Versamark. The image was then heat embossed in gold. I smudged gold mousse on the image, let it dry and fussy cut. I didn’t have it at the time I was creating this card, but the Marvelous Perfumes Coordinating Dies are available at the shop now. I stamped the same image again but this time in our Noir Dye ink. I partially fussy cut the labels and paper pieced onto the gold perfume bottle image. While I had the gold embossing powder out, I also stamped the sentiment on a black cardstock, heat embossed, and then cut it down to a banner shape. To create the background, I stamped our new Mini Heart Print Cling stamp on a white smooth cardstock in Versamark. I heat embossed the whole panel with Sparkle Gold embossing powder and trimmed it down to 4.25″x5.5″. Then I moved on to the shaker frame. I adhered the Glossy Fine Gold Adhesive paper on a sturdy black cardstock and die cut using the largest die from the Large Double Stitched Dies and the 2nd largest die from the Small Double Stitched Dies. I adhered acetate and double layers of foam tape to create the shaker frame. Then I filled it with our new Hot Cocoa & Pretty Petals Couture Mix, Black Tie Affair Couture Mix, Black Flora sequins, Glass Slippers sequins, Medallion Gold, and Matte Gold sequins. I sealed the shaker frame with the background panel and adhered the shaker on a black A2 card base with the strong adhesive. On the shaker, I laid some gold embroidery thread and adhered the perfume bottle image and the sentiment strip on top. I finished the card by adding a tiny shiny heart on the bottle and few Medallion Gold & Black Flora sequins. Now let’s move on to the other card! This card is much more toned down and rustic even, but I am very pleased how the no-line coloring on dark kraft paper turned out! I stamped the Sunflower Bouquet on a dark kraft cardstock in our Warm Hazelnut Dye ink. I thought this light brown ink goes tone-on-tone on the kraft, which makes it perfect for the no-line coloring technique. I colored the image with the coloring pencils and when the coloring was all done, I added some dots on the center of the flowers with black gel pen. I also stamped the sentiment (from the Fresh Cute Sunflowers stamp set) in Noir Dye ink. I die cut the panel down to A2 size, with the largest die from the Large Double Stitched Rectangle Dies and ink blended on the edges only in our Apen Cocoa and Dark Roast Dye ink. I adhered the panel on a black A2 sized card base, added jute twine, and finished the card by adding some sequins from the new Belle’s Dress Couture Mix. Kay Miller <—————- Your next stop! I had so much fun creating all the projects I shared all week long! I hope I was able to inspire you. Your next stop is fabulous Kay Miller’s blog! Fun shaker card, and the sunflowers look wonderful stamped on the kraft! HANDS DOWN…the sunflowers card is my favorite. Fantastic coloring…so realistic. Wow, Jenny! I just love your cards! The 1st is magnificent! The gold is awesome! I just love shaker cards and the mix is perfect! The coloring of the wonderful new Sunflower Bouquet is beautiful! Thank you so much for the inspiration! The Ton has such beautiful flower stamps and this release adds more. The sunflower card is so ho ey. And then the elegant perfume bottle. Love it. Love the sunflowers on kraft cardstock. The shading is so pretty! Your two cards are breathtaking! Thank you for sharing them with us.